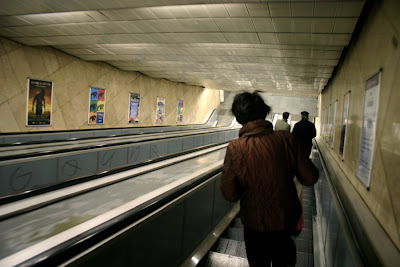 This is how you get in Mustek metro station. Mustek is one of the busiest stations in Prague. Two lines (green and yellow) meet here. It has its entrances in Narodni trida street and several at Wenceslas square. So it's pretty in the center of Prague.